It should be no surprise that a long time pro boxer and kickboxer Kevin Engel quickly found success in mixed martial arts. His pedigree includes numerous World Combat League matches, a pro boxing record of 20-14, 16 wins by KO, and trips to such high-profile venues like the Hard Rock Casino in Las Vegas and the Barclay's Center in New Jersey. 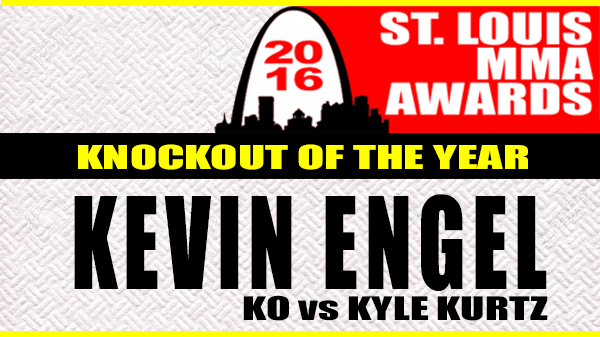 Adding to his already beefy resume is our 2016 KO of the Year garnering 13 of the 19 votes from our panel. "It was the shot heard around the world as he took out Kyle Kurtz," Travis Brown of MMA Wreckage, said. "Kyle left his chin open and Kevin took full advantage. It showed what precise accuracy and sheer raw power is capable of." Prior to the match-up with Kyle Kurtz, Engel had won four in a row inside the cage, all stoppages. Kurtz was coming off wins over Engel's teammates Steven Mann and Adam Cella. There was plenty of buzz when the match-up was announced. "In the first round, Kurtz came out firing kicks aplenty and was showcasing better movement on the feet than he has shown in previous fights. Engel, a decorated boxer, was able to land punches but Kurtz would seemingly smile and continue to press forward. The second round saw both fighters loosen up a little bit and both looked like they were getting into a zone when Engel threw a howitzer of a left hand that landed flush on the jaw of Kurtz. It was a no-doubter as Kurtz fell completely limp to the mat. Engel earned the clean KO victory at 4:04 of the round." 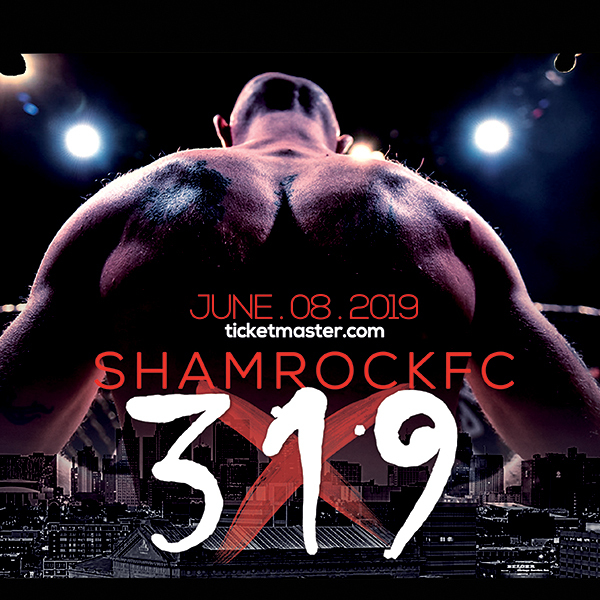 "I worked that fight," John Davis, Shamrock FC cutman said. "I thought Kyle was never going to wake up." It was Engel's first return to MMA in 18 months and improved him to 5-0 and set up for a high-profile bout on the upcoming Bellator: Dynamite 2 at Scottrade Center. 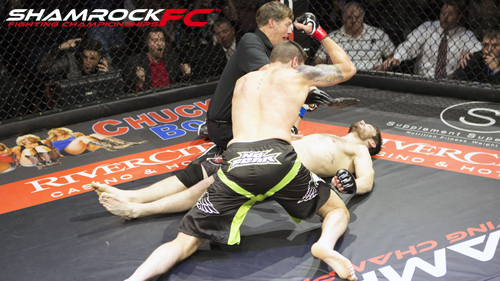 "This KO was felt all the way to the broadcast booth," Shamrock FC PPV play-by-play announcer Jeremey Johnson said. "I was on the call with Luigi Fioravanti and we both basically lost it when that hand was delivered. Kurtz was doing an amazing job against Engel until that shot came down. That was one of the longest times I have seen anyone out on the ground. Truly a highlight reel for the year."